Last I left you, we’d been told to go to Texas Children’s Hospital in Houston. May 6th after work, Mathew and I headed to Houston to stay at my sister, Arlene’s house. Our appointment was the next day at 8 am, and we had a FULL day. 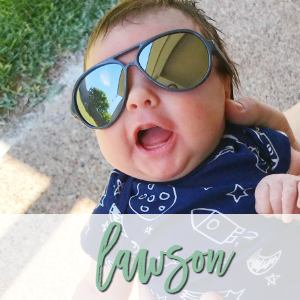 Texas Children’s was going to do an ultrasound, fetal MRI, and echocardiogram to make sure everything was ok with Addison, and to pinpoint what exactly was wrong. The weekend before, my dad had told Mathew and I to go see “God is Not Dead” at the movies, and there was a scene that really struck a cord with me. This pastor was going to go on a trip with his friend, and every time they got into a car, the car wouldn’t start. After trying his own car AND a rental, the pastor just about gave up completely. The men were able to get a 2nd rental car, and the pastor told his friend he was just going to try to start the car without packing their bags in it, because he didn’t want to pull all the bags out again if it wouldn’t start. His friend told him that faith means putting all the bags in the car and THEN starting the car. Of course, as he did this, the car started! I felt the same way when we drove to Texas Children’s, and I told Mathew “Why bother even putting on makeup? I know I’m just going to cry all day again.” He told me to have faith, and I remembered the car scene of the movie. I put on my full face of makeup (a rare treat) and decided to “pack the bags in the car”. It was a leap of faith to put on that makeup, in hopes that I wouldn’t cry it away during the day. Our ultrasound started off shaky- with a tech that “claimed” Addison had 2 holes in her heart. If you know anything about techs, they’re not allowed to make any kind of observation without consulting with a doctor first and THEN allowing the doctor to tell the patients. Not only that, but she was rude and pushed down incredibly hard on me to get Addison to move. I wasn’t happy. Our next appointment was a fetal MRI, and I had to lay in a scary MRI tube for an hour so they could get scans of Addison. It’s amazing the things we can do with technology, though, and the ladies in the MRI area were insanely nice. After the MRI, we had our echocardiogram where a fetal cardiologist came to look at Addison’s heart to make sure that her heart wasn’t working overtime to supply blood to her cyst. She was able to rule out that Addison’s heart had any holes, and told us that her heart was perfect and pumped beautifully. It was a sigh of RELIEF and she was very good at explaining everything to us. Lastly, we spoke with our last doctor who was able to explain everything about Addison’s complications to us. Initially they were worried that her nuchal fold was larger than it should have been. That was ruled out with our FISH in Temple. Second, they were worried about Addison’s heart pumping too much to her cyst (and that it might have a hole). That was ruled out as well. They also were worried that her cyst would be a solid, vascular mass, which it is not. Her cyst is technically called a sacrococcygeal teratoma, and fortunately is liquid-filled, non-vascular, and non-cancerous. Sacrococcygeal teratoma (SCT) is a teratoma (a kind of tumor) located at the base of the coccyx (tailbone). SCT is seen in 1 in every 35,000 live births, and is the most common tumor presenting in newborns. SCT’s are thought to be caused by a growth from an abnormally placed set of stem cells. Like other teratomas, an SCT can grow very large. Unlike other teratomas, an SCT sometimes grows larger than the rest of the fetus. We thankfully are extremely lucky that Addison’s teratoma at the time of our appointment in Houston was only 4% in size in comparison to her body. Some of these teratomas can get to be incredibly large, but the doctors told us that as long as her SCT stays under 12% in comparison to her body, she will be fine. We learned a lot in Houston. A LOT. WE are SO thankful that we were able to give her complication a name, and even more thankful that we are able to monitor her growth (and the SCT growth) every 2 weeks in Temple. I will be delivering in Temple via cesarean in order to ensure that no pressure is on her SCT. Addison will have to have surgery 1-3 days after she comes into the world, and will be in the NICU for 4-6 weeks to recover and heal. 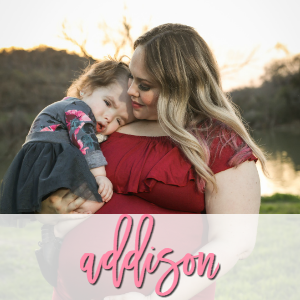 I found this blog post of another baby whose SCT looks about the same size that Addison’s will most likely be upon birth. It’s a little graphic, but if you’re interested in seeing what our baby will be going through, it’s a quick read. I am so thankful to God that He has watched over us and Addison. We know that everything happens for a reason, and that He has a plan for our little girl. If you’re curious on how you can help us in any way, just keep us on your prayer list. This won’t be an easy road for us, and it can be stressful. Just pray that God will help provide the money we will need to pay for our bills as I’m on maternity leave (as it may be longer than we originally thought), as well as prayers that the doctors that deliver Addison and do surgery on her in September do an exceptional job. 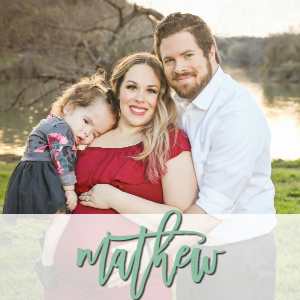 I want to personally thank friends like Lisa Leonard, those in my pregnancy group, close family, and the few close friends that I have confided in when Mathew and I have needed support. This can be scary, but we’re choosing to not let it be. I am so thankful to have friends and family that have let me vent my worries, and have checked on Addison and I to make sure that we’re ok during this pregnancy. I appreciate you all SO much! I will keep everyone updated as we find out more, and will ultimately end up telling you our story even more once she’s born. It’s my hope that through blogging, I’ll be able to help out another mom whose baby has an SCT too. Wow, that is a lot to process. I simply CANNOT imagine what you must be feeling, thinking, hoping, imagining every second of every day. You are an AMAZING woman, wife, and mommy. Your strength in a trial is a testament of your faith and a beacon for others. One reason I donate my excess breast milk, besides running out of freezer space on a regular basis, is to help babies like Addison who need a “boost” of liquid gold during their NICU stay. I’ve been blessed with an abundant breast milk supply and knowing that my milk is going to NICU babies makes the effort in pumping and late night pumping sessions so worth it. Blessings and prayers for you and your family, God is NOT dead and he is working in that baby girl’s life already. What a story she’ll have to tell when she’s older!!!!!!!! Wow! I am thankful that most of the (bigger) worries were ruled out and that you got answers. God is great! I will continue to pray for you, your husband, sweet Addison and any and every doctor you deal with from here on out. Especially the delivery doctors and surgeon. I am keeping all of you in my prayers. Praise God that it is still a small cyst. What a story, deary! I think it’s incredibly personal to share and is a testament to your character in trying to help others. Praying for you and your precious family. Praise God that it wasn’t more serious!! But I can’t imagine how terrifying this must have been and how stressful it will continue to be. You all will definitely be in my prayers! Katie recently posted…First Weekend of Summer. I’m so glad she is doing well and you have such a strong support system. When Jack was diagnosed at 2 weeks with csytic fibrosis I barely could speak with out a total meltdown. I was lucky to have a huge support system to help deal with the news. Sometimes all we ever need is a good hug from a friend and kind words to help us through the day. Sending lots of love to you and your beautiful baby girl, Stephanie! I am so glad you were able to get answers and I will keep you and her in my prayers! Thinking of you always and hear if you ever need to talk or vent! I’m glad that things are looking ok and hopefully things will continue that way! I am the mother of a 21 yo with cerebral palsy. He’s never walked and he’s unable to perform any personal hygiene such as dressing, bathing etc. He eats independently and talks nonstop. When he was born, I terrified. My problems were and still are huge, but my God I is Bigger. Always keep God first in your life. He is the Rock of our eternal salvation.